This book explores the significance of human behaviour to understanding the causes and impacts of changing climates and to assessing varied ways of responding to such changes. So far the discipline that has represented and modelled such human behaviour is economics. By contrast Climate Change and Society tries to place the ‘social’ at the heart of both the analysis of climates and of the assessment of alternative futures. It demonstrates the importance of social practices organised into systems. In the fateful twentieth century various interlocking high carbon systems were established. This sedimented high carbon social practices, engendering huge population growth, increasing greenhouse gas emissions and the potentially declining availability of oil that made this world go round. Especially important in stabilising this pattern was the ‘carbon military-industrial complex’ around the world. The book goes on to examine how in this new century it is systems that have to change, to move from growing high carbon systems to those that are low carbon. Many suggestions are made as to how to innovate such low carbon systems. It is shown that such a transition has to happen fast so as to create positive feedbacks of each low carbon system upon each other. Various scenarios are elaborated of differing futures for the middle of this century, futures that all contain significant costs for the scale, extent and richness of social life. Climate Change and Society thus attempts to replace economics with sociology as the dominant discipline in climate change analysis. Sociology has spent much time examining the nature of modern societies, of modernity, but mostly failed to analyse the carbon resource base of such societies. This book seeks to remedy that failing. It should appeal to teachers and students in sociology, economics, environmental studies, geography, planning, politics and science studies, as well as to the public concerned with the long term future of carbon and society. John Urry (1946-2016) was Distinguished Professor of Sociology at Lancaster University. "Urry challenges sociologists to entertain the social blockages to coming to terms with climate change, social costs of not doing so, and major social rearrangements entailed by a genuine, Copernican ecological turn." "A must read for those interested in or working on climate change research and policy making." "Deftly drawing together a wide range of materials from Hollywood cinema to the complexity sciences, Urry's analysis combines sobering warnings about potential impending catastrophes, with hints at reasons for optimism about the possible emergence of innovative low carbon lifestyles ... a well-argued, detailed example of what sociologists can do when they turn their attention to climate change." "As debates rage in the UK on the efficiency of wind farms or whether fracking should be given the green light, this book is a timely reminder of how human reliance on the convenience of oil is irrefutably unsustainable." "Urry's sociological adventures in carbon provide something more." "A tour de force! 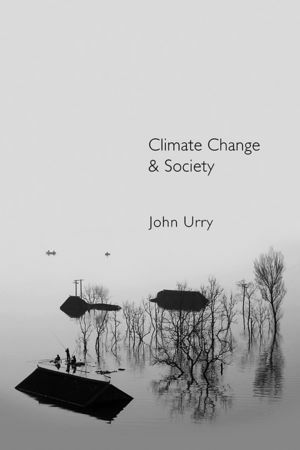 Urry shows the centrality of the social - both to comprehend the meaning of the carbon catastrophe that besets us and, thereby, to discover the possibility of a post-carbon society. Essential reading for all." "Climate change will affect more than the environment. It will change social institutions as well. In addition to economic science and to the environmental sciences, John Urry gives us insights from the social sciences. It is urgent that we pay attention." This is the first book to develop a proper sociology of climate change and will be an excellent companion to Tony Giddens’ The Politics of Climate Change. It could become a key text in what is certain to become an increasingly important part of the teaching curriculum in sociology and politics it will also be widely used in environmental studies courses. This also has the potential to reach a wider general readership as well, as with After the Car. John Urry is one of the leading sociologists in the UK and his books are well-known and very successful.